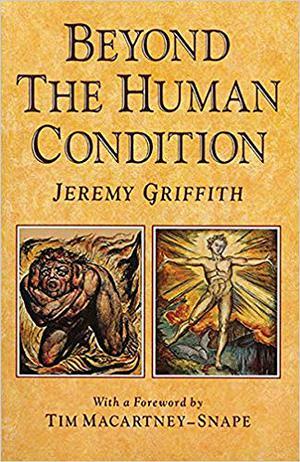 Jeremy Griffiths' second book gives a detailed account of the biology underpinning the explanation of the human condition. It examines issues such as science & religion, politics and psychiatry. Griffiths treatise defends and dignifies humans, it lifts the burden of guilt, making possible our species psychological rehabilitation. With a Foreword by twice-honoured Order of Australia recipient and renowned mountaineer Tim Macartney-Snape AM, who says of the book: "Griffith's explanations have clarified so much that was inexplicable about myself and what goes on in the world. It is like having mist lift from country you've never seen in clear weather. This book could well have as much impact on humanity as the Bible."